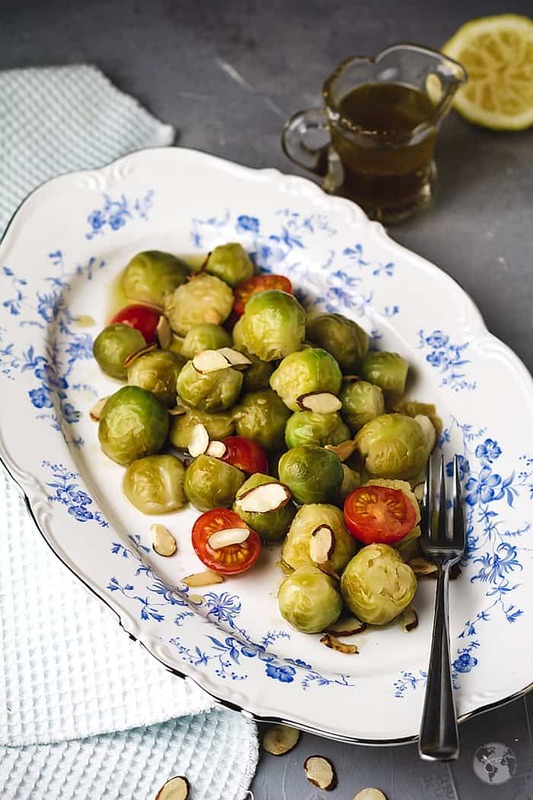 Tangy and delicious, these marinated Brussels sprouts come together in just 10 minutes. Perfect to serve as a side dish or an appetizer, but you will also love it mixed into a tossed salad. Now that I finally got my husband to try little “cabbages”, aka Brussels sprouts, he can’t get enough of them. He loves them the best roasted in the oven (who doesn’t? ), but I’m on the fence between roasted and sautéed with bacon. I think bacon might win. Although they taste amazing both ways, their homely exterior is deceiving, which is fine when you’re sharing them with your family. They’re good and comforting like worn out sweatpants. For the company, however, you want them all dressed up and glamorous. That’s when this recipe comes in handy. You blanch or steam Brussel sprouts so everything stays intact, and it’s perfectly presentable. 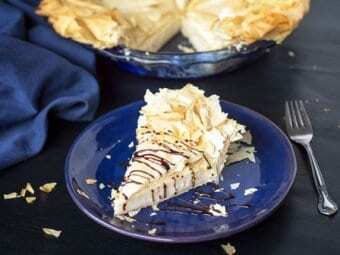 Scattered around toasted almonds provide textural contrast and festive touch. 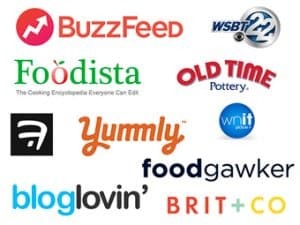 · It’s quick and easy to make. · Works as a side dish, appetizer or a salad. · Has a little kick to it to wake up your taste buds. 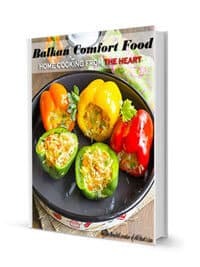 · It’s a fantastic dish to entertain with and serve on holidays. *Details and printable recipe card is on the bottom of this post. Trim the Brussels sprouts and then steam or blanch them. Toss them with the rest of ingredients and marinate for at least 30 minutes or overnight. 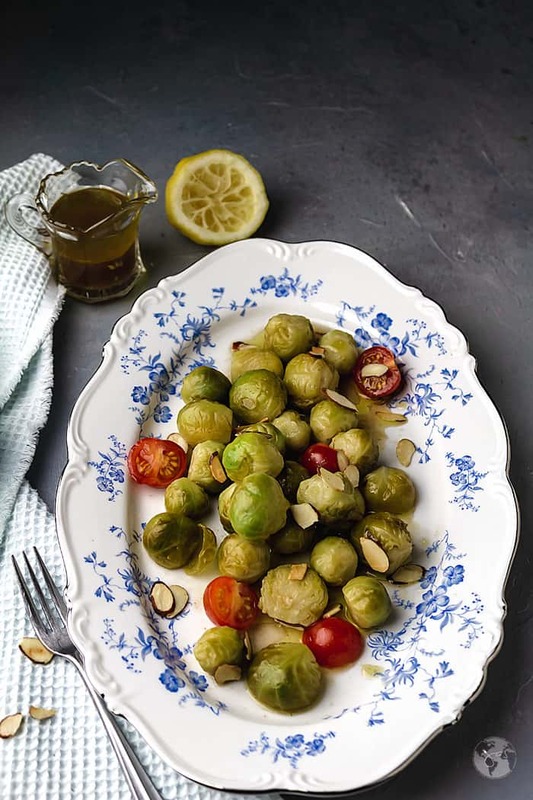 Add a handful of cherry tomatoes to the sprouts for color contrast. You can use toasted walnuts instead of almonds. Use different seasonings, such as swapping Worcestershire sauce with a sprinkle of balsamic or garlic vinegar. Reserve the extra marinade and use later as a dressing for a tossed salad. Marinated sprouts will last for up to a week when stored in the fridge. Toast almond slices by heating them on the stove top in a dry, heavy skillet over medium heat for 1 to 2 minutes or until they’re golden brown. 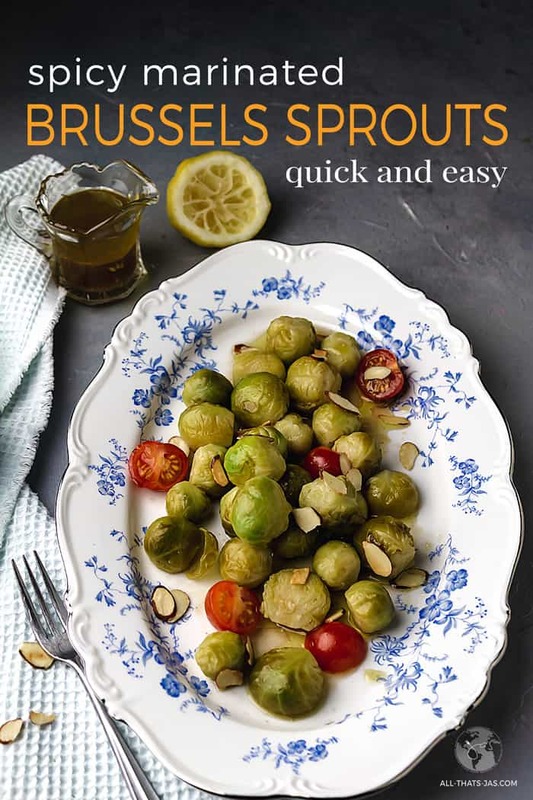 The tanginess of these sprouts goes excellent with any roasted or grilled meat, especially fish. Also, in case you follow diets, they’re vegetarian, vegan, gluten-free, Paleo, Whole30, and Keto approved. 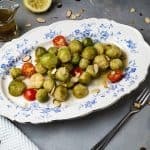 These marinated Brussels sprouts take less than 10 minutes to cook and are great as a side dish or mixed into a tossed salad. Bring an inch or two of water to a boil in a pot with a steamer basket. Place trimmed and halved pound of Brussels sprouts in the steamer basket, and set over the boiling water. Cover, reduce heat to medium-low, and steam sprouts until just tender and still bright green, 5-8 minutes, depending on size. Drain thoroughly, and transfer to a large bowl. Prepare an ice bath in a large bowl (cold water with ice cubes). Bring a pot of salted water to a boil. 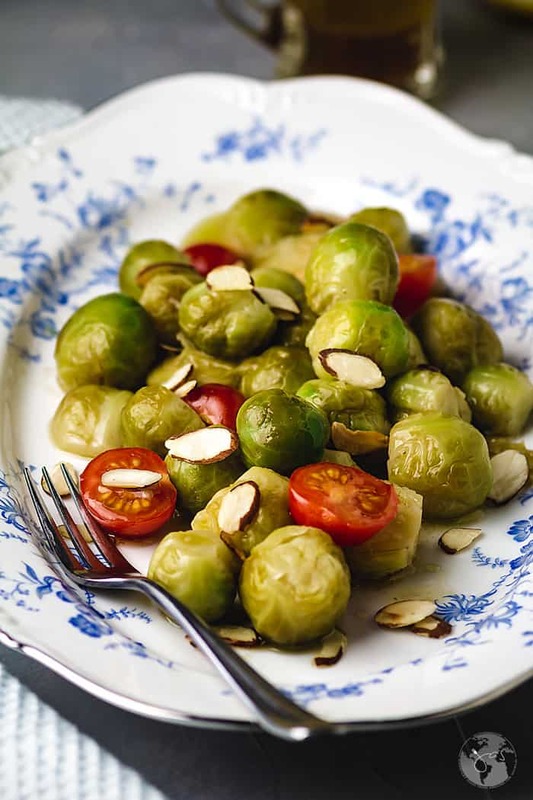 Add the sprouts and cook until crisp-tender, about 3 minutes for small and 5 minutes for large sprouts. 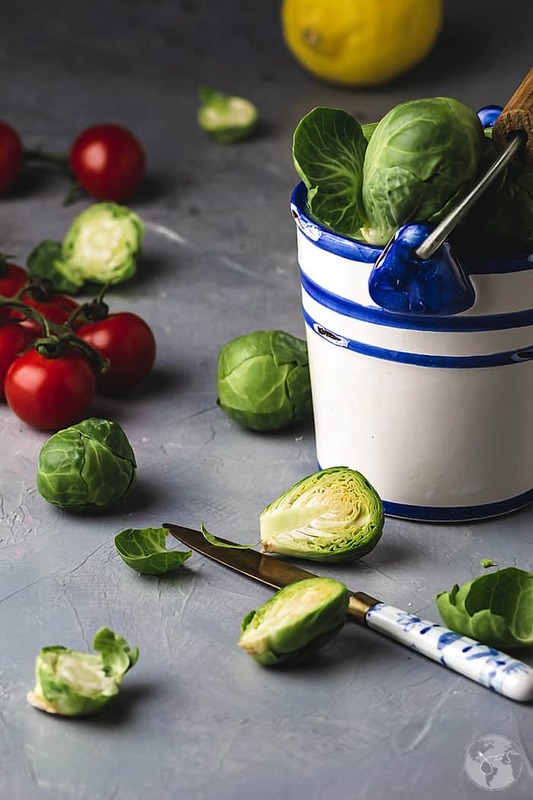 Drain the sprouts in a colander and immediately drop the colander into the bowl of ice water to stop sprouts from further cooking. 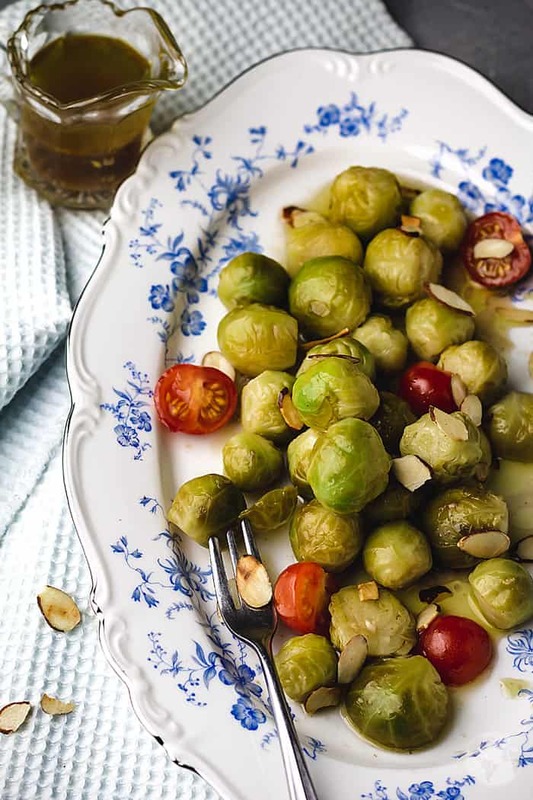 Remove, drain thoroughly, and transfer sprouts to a large bowl. Whisk together the ¼ cup olive oil, ¼ cup fresh lemon juice, minced garlic clove, a dash of Worcestershire sauce, a sprinkle of ground cloves, cayenne to taste, and a teaspoon of salt. Add the dressing to still warm sprouts and toss to coat. Cover and store them in the refrigerator overnight or at least for 30 minutes. Serve at room temperature sprinkled with toasted almonds as an appetizer, over arugula as a salad or a side dish. Toast almond slices by heating them on the stove top in a dry, heavy skillet over medium heat for 1 to 2 minutes or until they're golden brown. Hi, Michelle! It took a while for my husband to start liking them, so there’s hope for yours too. These look great! 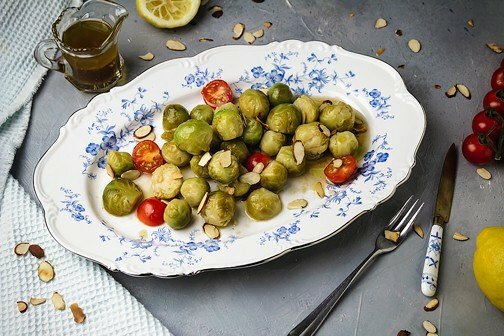 My husband loves brussel sprouts (and I like them, too!) but I haven’t bought any in ages because I never know what to do with them (other than sautéing). He would go nuts over this, and I love how easy they are. Thank you for sharing at Sweet Inspiration!